← What? My Home Care Provider May Not Be Licensed? Many of today’s seniors were taught never to question their doctor or health care provider, and to take the advice and follow the instructions of their doctor or health care providers as recommended – without question. These days, the younger generation feels compelled to question, to verify, and sometimes, to offer counter suggestions for their own care. However, one of the main concerns of seniors today when it comes to home health care services surround a few common questions. One of the most important and common questions that a senior may ask when it comes to home health care services is “What if I don’t like the person sent to help me?” Most home health care agencies bend over backwards to match caregivers with care recipients who have the same interests, personalities whenever possible, and behaviors. This matching is done by careful interviewing of the care recipient as well as other family members. For example, the care recipient may be used to being alone all day and doesn’t particularly want to talk or to hear someone talking at them for hours at a time. Choosing a care recipient who is comfortable with silence, can take care of required tasks and services with quiet efficiency, and is beneficial all around. At other times, a senior may be outgoing, gregarious, or extremely active. Matching a senior with that type of disposition to a caregiver who is shy, withdrawn, or quiet is certainly not the best of matches. That’s why OptimumCare Home Care Services and many other home health care agencies engage in what is called a “meet and greet” – meeting with the care recipient and many family members. Seniors are encouraged to talk to their families and to the agency regarding their preferences or their dislikes of the suggested caregiver. Of course, a trial session may be required to see whether the two match, and sometimes they don’t. That’s okay. No one’s going to be offended if you ask for different caregiver. Believe it or not, caregivers may often face the same dilemma. Sometimes, personalities clash, not so much in the care scenario, but based on religion, upbringing, geographical regions, and so forth. Don’t be hesitant to let a home health care agency know if Mom or Dad isn’t particularly comfortable or happy with a particular caregiver. 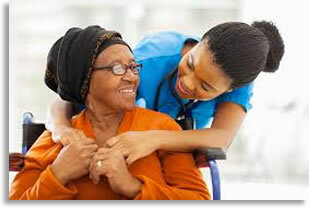 The screening process and assessment phase of home health care services will result in quite a bit of information gathered by the home health care agency that will enable them to choose among the best caregivers for that individual. For example, often care home care services carefully analyzes each individual’s needs, attitudes, and personality before selecting caregivers who will be assigned to that person. At the same time, continuity of care is important. Many seniors establish relationships and a level of comfort with certain caregivers, and constantly switching them around is not beneficial to anyone. When it comes to caregivers meeting Mom or Dad, most agencies like OptimumCare Home Care services do their best to provide matches that provide and ensure competence, confidence, companionship, and compassion.